Cooking historian, author, and chef Michael W. Twitty believes food should nourish our minds as much as our bodies. “The more you cook, the more you eat, the more you do your homework, the better the world becomes,” Twitty says. Twitty will share his culinary philosophy as featured speaker during the 10th anniversary Farm to Fork Picnic Weekend, an event organized by the Center for Environmental Farming Systems (CEFS) to celebrate our state’s independent farms and the eateries they supply. The weekend’s events are a fundraiser for beginning farmer programs at CEFS and the PLANT Farm Enterprise Incubator at the W.C. Breeze Family Farm. Twitty is scheduled to deliver keynote remarks on Friday, June 2, at the Sustainable Supper at Raleigh’s City Market. 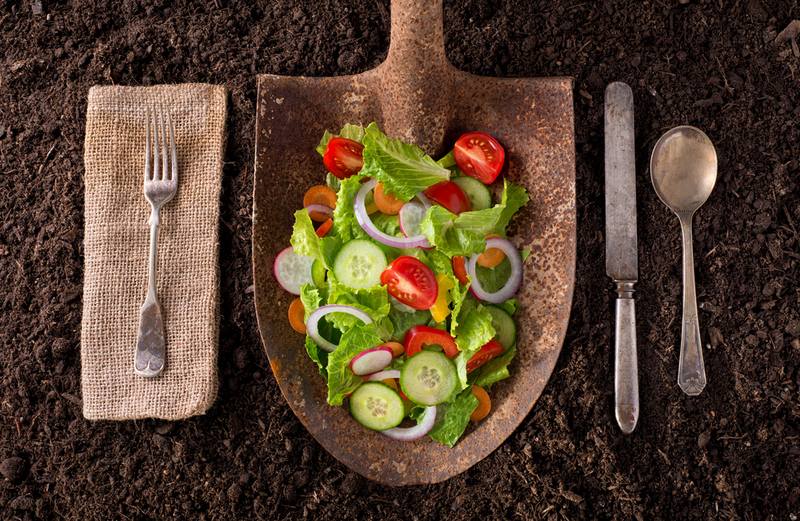 Blue Cross and Blue Shield of North Carolina (Blue Cross NC) is a sponsor of Farm to Fork Picnic Weekend, part of the company’s efforts to promote healthy diets centered around fresh ingredients grown locally. Twitty has become a national star in the cooking world, sharing his takes on food, history, social issues and politics via Twitter, Facebook, a website and a blog. Twitty has spent a great deal of time in North Carolina in recent years. As part of his Southern Discomfort research project, which launched in 2012, he has been poring over archives and turning farmland dirt once tilled by his enslaved ancestors. 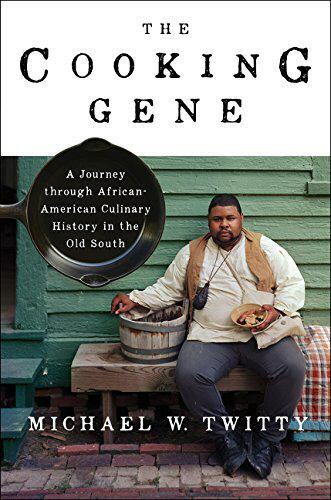 His findings, along with years of study on African American culture and food traditions, form the core of his book, The Cooking Gene: A Journey Through African-American Culinary History in the Old South, which will be published this summer. Blue Cross NC recently connected with Twitty to talk about The Cooking Gene, his advocacy for the farm-to-fork movement and food’s value as a communication tool. Can food and cooking really change people’s attitudes toward one another? Absolutely. The main way is that it can give us insights into other people’s worlds. We lack context, that’s the important thing. We’re so used to sound bites and surface information, little factoids that are filtered through hundreds of types of cognitive biases. We’re not really learning anything. We’re getting shadow ideas and not the reality of things. When you cook, you think: Why is that ingredient here? What’s the history? What do these people face today? When you answer these questions, you learn about people. You learn about family. You learn why things are the way they are. Look at curry. First of all, there’s no such spice called curry. When you investigate that, you learn about the British, who colonized India. You learn about tikka masala and modern takes on Indian food, and the Indian diaspora that sent people around the globe. There is not one India. If you go down that rabbit hole, you have an education about a part of the world we all should know about because they have a billion people. There is so much to it. For your new book, The Cooking Gene: A Journey Through African-American Culinary History in the Old South, you researched your own family’s history. Did you learn anything that changed the way you look at yourself? Oh, yes. First of all, I learned about people in the bloodline that I didn’t know much about. Some are people of color who were enslaved and tried to run away. Some ran away and joined the Union Army. When you take into consideration how these patterns and paths in history affect who we are and where we come from, there are so many choices and decisions people made in their everyday lives that speak to us in the present. It’s eerie to think about, and I think a lot of people don’t like to think about it because it takes away from the notion that we are individualistic creatures. A lot of what defines our lives is determined long before we are born, and that’s scary for a lot of people. For me, if I know the history, it’s a tool I can work with. I can begin to change things around a little bit, make my life my own. With your writing and your cooking, what are you trying to teach people? I think just how rigorous the African American culinary canon is. A copy editor asked me about beating biscuits for 25 minutes because it seemed like a really long time. I was like, are you serious? That was the whole point. An enslaved child or women had to beat the dough a thousand times. That is a very long time. Think about enslaved people in chains doing that work – for 400 years. It’s not like popping open a can. People don’t understand the rigor behind the language. And that’s just one example. These are stories about food, but also about people: people who didn’t have names, people whose life stories were obliterated. It all brings us back to context and deeper stories that reveal the true history of our history. Why is it important for people to be more connected to the food they eat and the people who grow that food? Out of respect. Out of respect for families and individuals who grow and produce food. Everyone wants respect for the hard work they do, and for what they contribute. The bottom line is we don’t really understand what it takes to grow and harvest food and get it all the way to our plates. I just recently saw something through (HBO pundit) Bill Maher where he was talking to a farmer in California. The farmer could not keep employees on to harvest vegetables. Even offering them a 401k retirement plan, they drop out. They don’t last a day. That means we probably should be respecting these people more, and advocating for them to get more out of their work. This is what it takes to fill the grocery store, to get food on the table that you didn’t grow yourself. How can the average consumer stay connected to food growers? Local farmers who grow food for their communities need consumers to care about where their food comes from. These farmers give us the opportunity to know where the food was grown, to know how it was grown, to help them protect the land and the water and everything it takes to bring food to the table. It goes back to being holistic, in recognizing that we’re all connected. We have to build that back. It’s what will give us lasting security and peace. It will make us respect one another and live together. Tickets for the June 2 Sustainable Supper and June 4 Farm to Fork Picnic are available at http://farmtoforknc.com/.